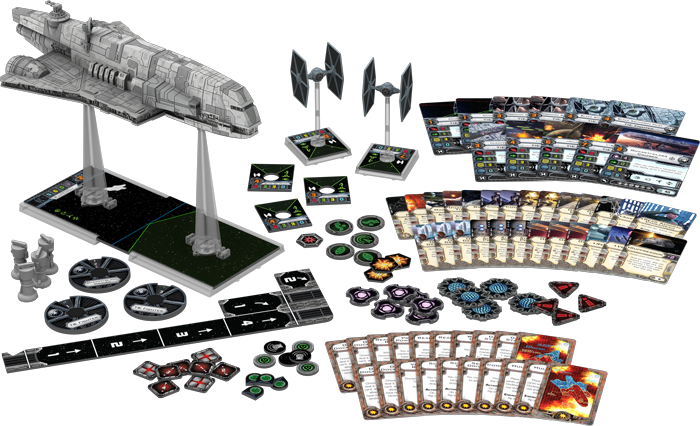 The Imperial Assault Carrier Expansion Pack for X-Wing™ is nearly here! 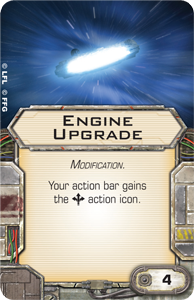 In our last preview, we looked at what the Imperial Assault Carrier Expansion Pack, its Gozanti-class Cruiser, and its many upgrades add to your Epic Play battles. Today, we take a closer look at what the expansion brings to Standard Play. Swarms and the TIE swarm, specifically, are as old as X-Wing itself. They're also well-known and understood. In short, you fly a large number of similar ships, concentrate your fire, and batter your opponents with a giant pile of attack dice. Defensively, individual TIEs are fragile, but their agility makes them hard to hit. Moreover, you can lose just about any one or two of the TIEs from your swarm and still outgun your opponent; there are only a couple of unique aces, like "Howlrunner," whose loss really makes much of an impact on your game. 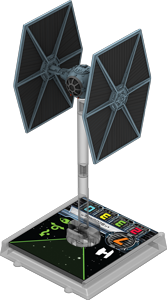 The Imperial Assault Carrier Expansion Pack includes two TIE fighters with an alternate blue paint scheme. It is, however, the fact that few aces make much of a difference to your swarm that has held the basic strategy relatively static since Wave I. All this time, the default TIE swarm has been "Howlrunner" plus five or six other ships, several of which were almost certain to be Academy Pilots . 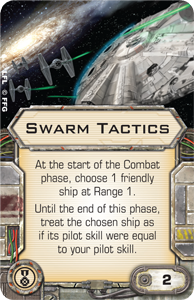 Other TIE pilots, like "Backstabber" or the Black Squadron Pilot , might provide an additional tactical option, but few other aces could really integrate themselves into the core of the swarm strategy. 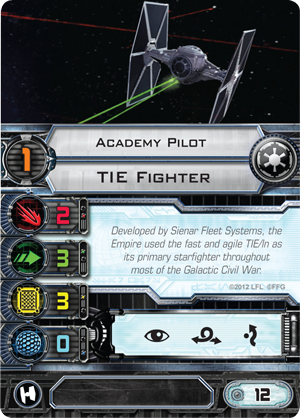 Now, The Force Awakens™ Core Set has introduced the TIE/fo fighter, and the Imperial Assault Carrier Expansion Pack looks to give the swarm a large, new dose of energy with its two TIE fighter miniatures, which feature alternate paint schemes, as well as four new unique aces. The reason these aces may reinvigorate the swarm is that they introduce a wide range of synergistic abilities that didn't exist before them. 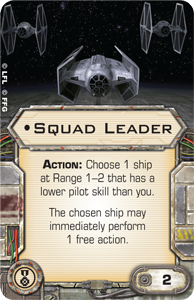 Like "Howlrunner," they introduce abilities that reshape the ways your whole squadron can work together, and most of them also work well with the new TIE/fo fighter aces from The Force Awakens™ Core Set. The first of the new aces is "Scourge." 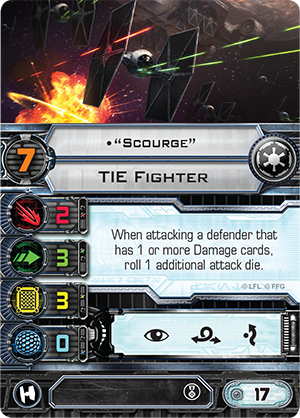 Previously revealed in the announcement of the Imperial Assault Carrier Expansion Pack, "Scourge" doesn't offer so much to your other ships, but he does capitalize nicely on the damage they might have already dealt an opponent. Still, ships that have received facedown damage cards are often nearly exploded whether it's "Scourge" who's attacking them or not. There are, of course, exceptions for large-base ships like the YT-1300 that can absorb a large amount of damage before they're destroyed, but the fact remains that "Scourge" would seem to offer little against a list with Corran Horn or the zippy A-wing aces that have seen a lot more play since the introduction of the Autothrusters and Chardaan Refit upgrades. This is where "Wampa" comes into play. His unique pilot ability reads, "When attacking, you may cancel all dice results. If you cancel a result, deal 1 facedown Damage card to the defender." 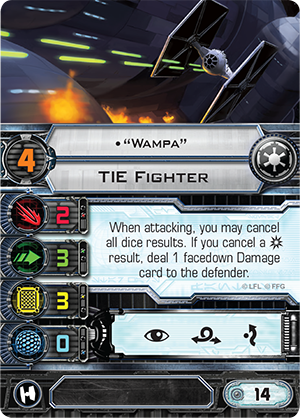 It doesn't matter how agile your opponent is, if you cancel at least one with "Wampa," you're going to deal a damage, and that's going to grant an extra attack die to "Scourge." Of course, scoring results can be a tricky matter, even if you have "Howlrunner" in your list to grant you rerolls. Marksmanship would give "Wampa" the ability to spend a focus to convert a result to a result, but "Wampa" doesn't have the elite pilot talent upgrade slot. Enter "Youngster." This is the ace who really opens up the full range of new swarm possibilities. 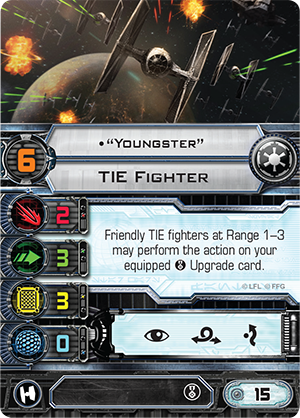 With his ability to grant other TIE fighters access to his elite pilot talent's Action ability, "Youngster" reshapes what the swarm is capable of doing. More than that, he reshapes the way that players will have to consider the cost-benefit ratio of the game's various elite pilot talents. After all, a Marksmanship upgrade on "Youngster" isn't really just on him; it's effectively a Marksmanship on "Wampa" and the rest of your TIE fighter pilots, as well. If you were to put Marksmanship on "Youngster," you could outfit "Howlrunner" with Swarm Tactics and allow "Wampa" to fire at a pilot skill value of "8," before "Scourge." 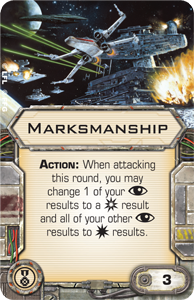 With Marksmanship and the reroll granted by "Howlrunner," "Wampa" suddenly enjoys tremendous odds of triggering his unique pilot ability to assign a facedown damage card to his target. That, in turn, activates "Scourge." Alternatively, you could equip "Youngster" with Squad Leader so that your entire squad could pass actions to the ships you felt needed them most. For example, "Howlrunner" could grant her action to "Omega Ace," pushing him halfway toward his ability which allows him to count his attack as nothing but results. 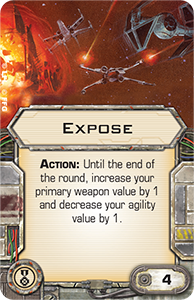 Or you could do something really outlandish and equip "Youngster" with Expose , which you can then trigger with every ship in your squadron. 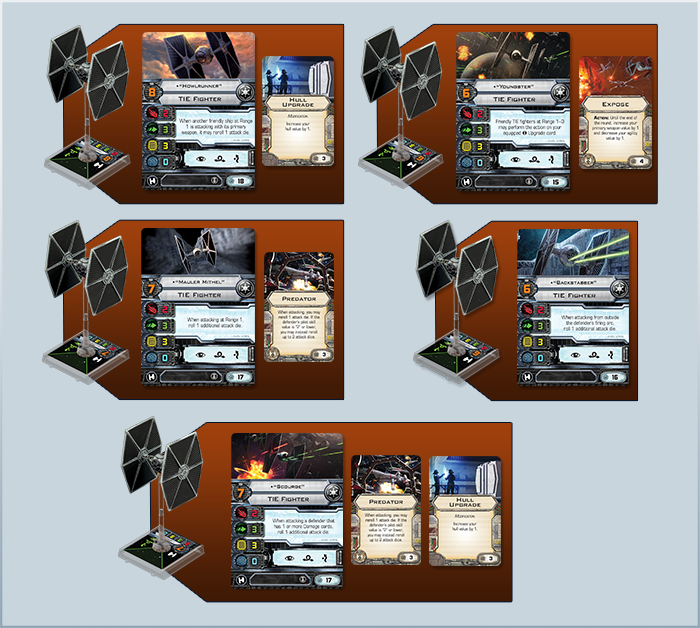 A TIE swarm of six ships can suddenly roll as many as eighteen attack dice instead of twelve, and the fact that you're not performing focus actions with all of those ships to modify your attack dice is largely mitigated by the presence of "Howlrunner." Meanwhile, you're most likely going to want to perform defensive actions with "Howlrunner" in order to keep her in play as long as possible. 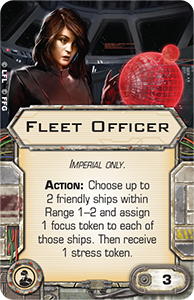 The focus action is generally your best bet, and if she spends her focus token either on defense or during an attack, she could grant it to "Chaser," the fourth TIE ace in the Imperial Assault Carrier Expansion Pack. 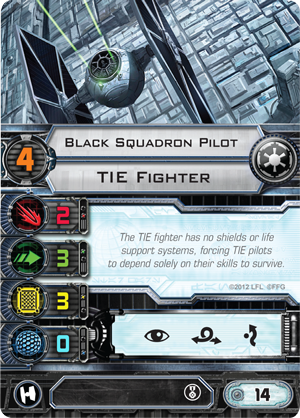 Again, like "Scourge," "Chaser" doesn't give much to your other TIE pilots, but he makes their actions more effective by borrowing from them. 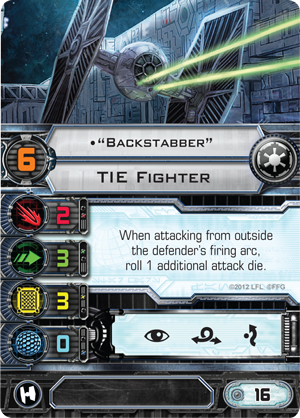 Notably, his ability becomes increasingly potent if you have a list that includes TIE fighters with significantly higher pilot skill values so that he can charge forward toward the enemy, engage your opponent's ships at Range "1," perform an evade action, and then receive a focus token from a wingmate who fires early in the battle. 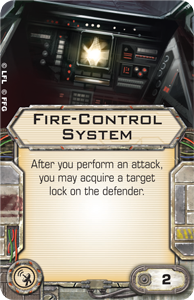 If "Chaser" can provide an immediate threat, he may be able to draw fire away from your other ships, and with multiple defensive tokens, he may even be able to survive the fire he draws. 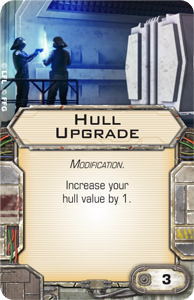 With all the new synergistic abilities that the four aces from the Imperial Assault Carrier Expansion Pack can add to your Imperial squad, as well as those you can gain from the First Order's TIE/fo fighter aces, the question is no longer whether or not your swarm can benefit from more synergies than just those that "Howlrunner" provides. 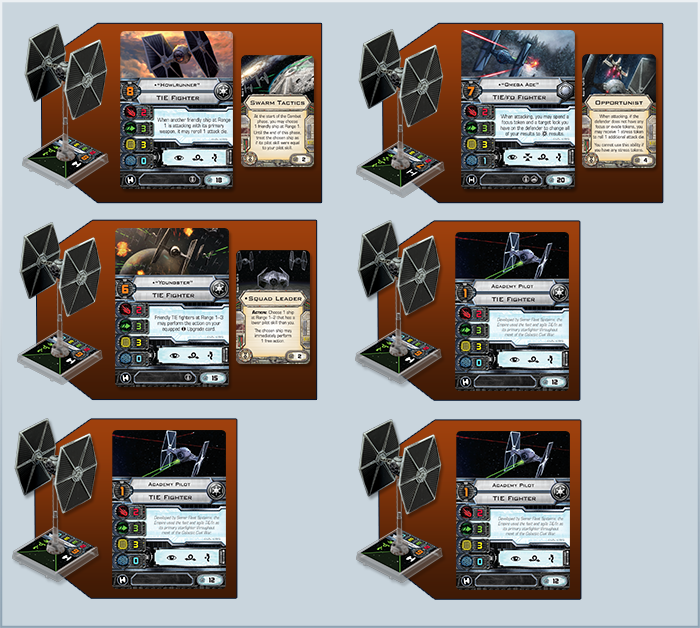 The question is: which synergies should I build into my TIE swarm? To that end, we explore the question with a few different swarms. 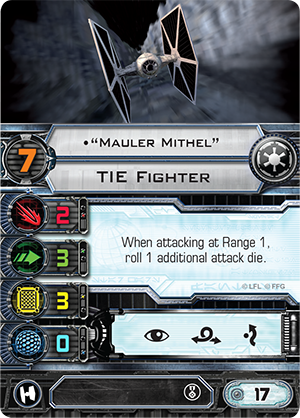 The first two utilize only TIE fighters and TIE/fo fighters, and the third incorporates the Imperial Assault Carrier Expansion Pack's Agent Kallus crew upgrade into a build that features a Lambda-class shuttle and a "mini-swarm." 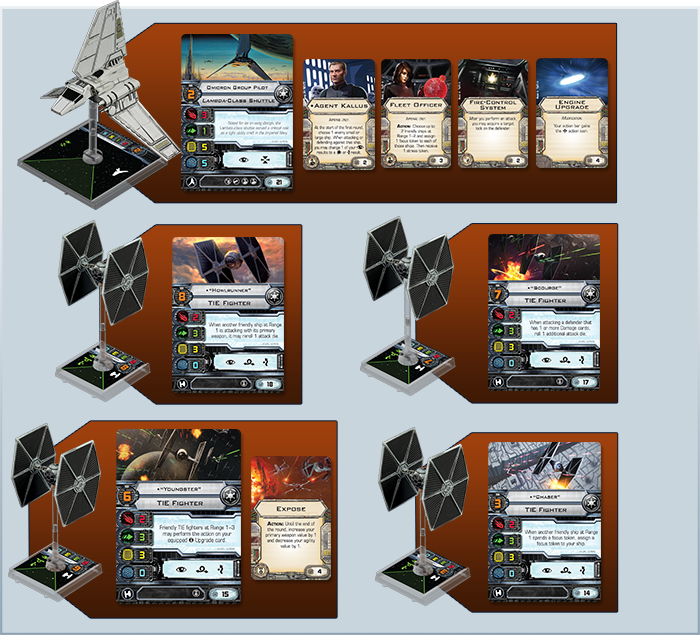 Whether or not this squadron is truly still a "swarm" at just five ships may be debatable, but "Youngster" and the Expose upgrade take center stage, alongside "Howlrunner," in this list, which can barrage and overwhelm your opponent with volleys of fifteen attack dice or more. 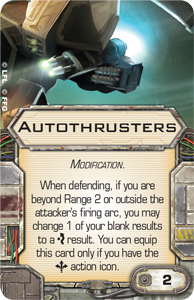 You could, if you wished, further increase your total output by several attack dice if you paired "Youngster" and "Howlrunner" with no one but Academy Pilots, but if you did this, you would suffer a significant drop in pilot skill values and lose all the tactical versatility that you gain from your unique pilots, their abilities, and their upgrades. Nonetheless, in a perfect world, if you could maneuver all your ships into Range "1" of enemy ships and trigger all of your list's unique pilot abilities that grant extra attack dice, you could roll a total of twenty-three attack dice in a single round, which is a simply staggering number of attack dice for any Standard Play build, especially when you consider your ability to modify your results with "Howlrunner" and Predator. 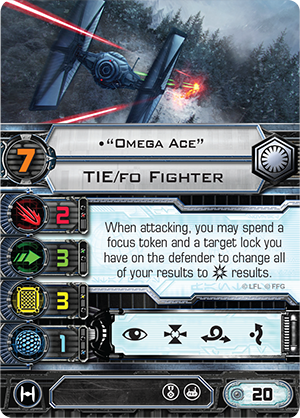 This swarm features the unique talents of one of the First Order's top pilots, "Omega Ace," in combination with five TIE fighters, led by "Howlrunner" and "Youngster." Although "Youngster" is theoretically able to share the benefits of his Squadron Leader upgrade with all of his wingmates, there's really only one meaningful recipient, and that's "Howlrunner." In any given round, the fact that "Youngster" can share his Squadron Leader upgrade means that "Howlrunner" can grant an action to "Omega Ace," allowing him to get the combination of focus and target lock tokens he needs to count all of his attack dice as results. 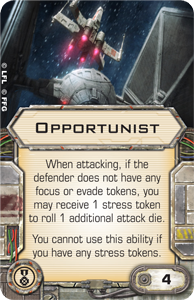 While it's true that "Howlrunner" could simply equip Squadron Leader herself to provide the same benefit, she has opted for Swarm Tactics, instead, so that both she and another squadmate can fire before "Omega Ace," increasing the odds that the targeted ship will have been forced to use its defensive tokens and making it more likely that "Omega Ace" will be able to add another die (and another result) with Opportunist. An alternative version of this build might drop "Youngster" and Swarm Tactics. 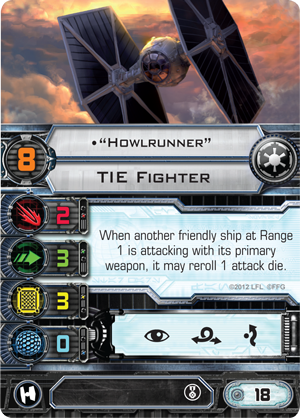 "Howlrunner" would take Squadron Leader, and "Scourge" would fill the void left by "Youngster." 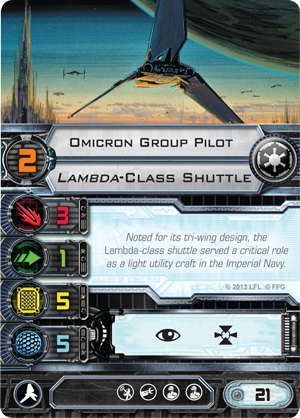 This final squadron swaps out a couple of TIEs in favor of a Lambda-class shuttle, piloted by an Omicron Group Pilot and crewed by Agent Kallus and a Fleet Officer. 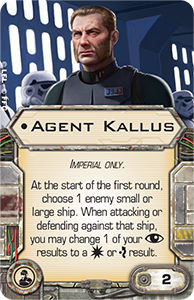 Agent Kallus and the Engine Upgrade modification ensure that your shuttle should play an active role in the battle, especially against the ship that Agent Kallus has targeted, and the Fleet Officer allows you to boost the impact of your "mini-swarm." With the Fleet Officer, you can pass focus tokens to both "Scourge" and "Youngster" before they later take advantage of Expose during the "perform actions" step. 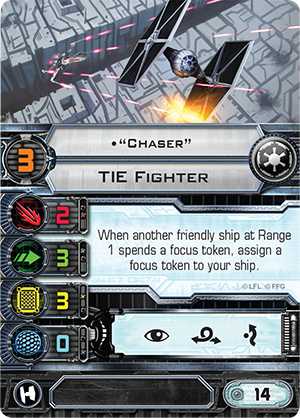 "Chaser" should also take advantage of Expose, and his unique pilot ability helps cover for the fact that the Fleet Officer can't pass out a third focus token. 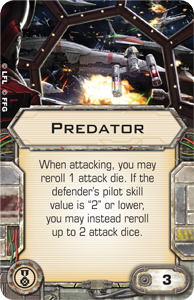 This squadron features a reduction in total attack dice versus the first list with Expose, but the focus tokens it passes around complement the rerolls its pilots get from "Howlrunner" and ensure a greater overall measure of accuracy. 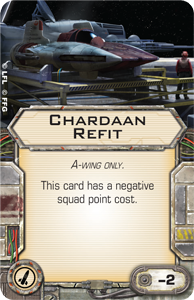 It also boasts a greater total number of hull points and shields, and it leaves you the option to splinter your forces, sending the shuttle in one direction and your TIEs in another. 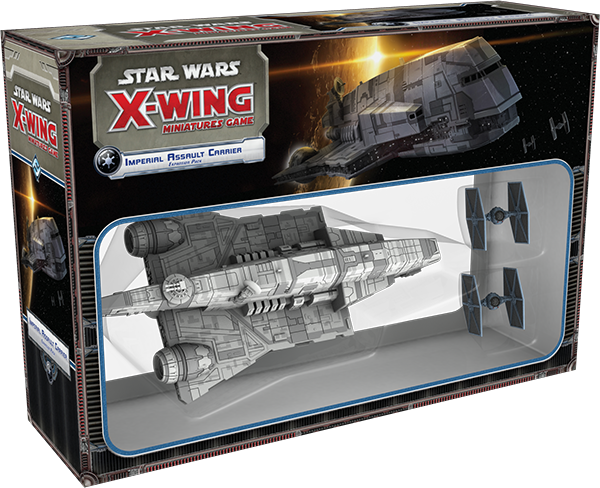 The Imperial Assault Carrier Expansion Pack is on its way to retailers right now, and its new TIEs, pilots, and upgrades will soon make their impact on X-Wing battles everywhere. 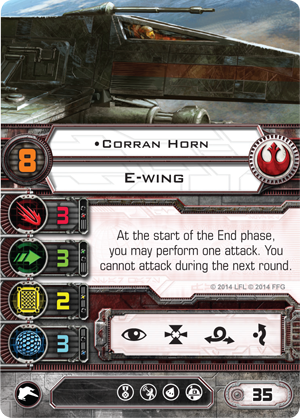 Keep your eyes open for news of this epic new X-Wing release, along with the expansion's rulesheet, the abilities of the three Gozanti Title cards, and a look at how your Gozanti can deploy its TIEs directly into the thick of battle!